August is my favourite time of year in Edinburgh. 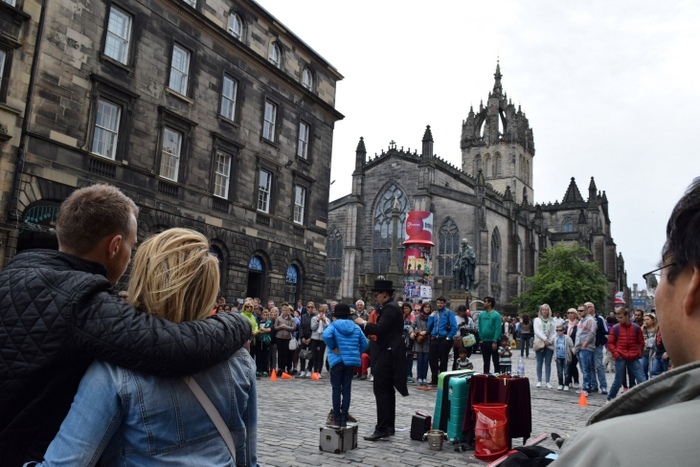 The Fringe Festival takes over the city, turning it into a whimsical playground of theatre and shows, street food, pop-up bars, numerous events, and a round-the-clock party atmosphere with an electric, intangible energy. 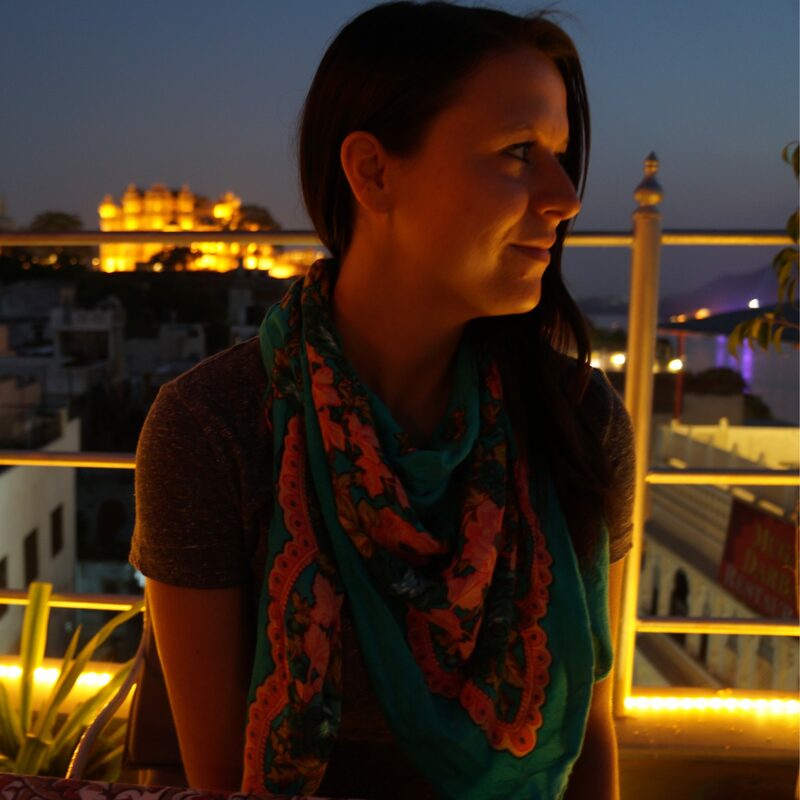 But the Fringe Festival can be a bit overwhelming at times – I was definitely overwhelmed by it all last year at my first Fringe. Between navigating the masses of crowds and trying to choose from over 3,000 shows, it’s hard not to feel completely overwhelmed. 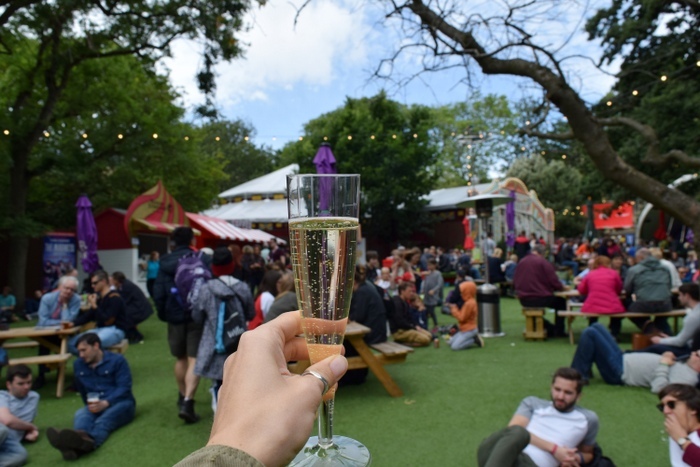 I’ve compiled a list of my top Fringe Festival survival tips, for those of you who may be attending for the first time, or for anyone just wanting to make the most of their Fringe experience. As an open-access festival, anyone and everyone can register and perform a show. 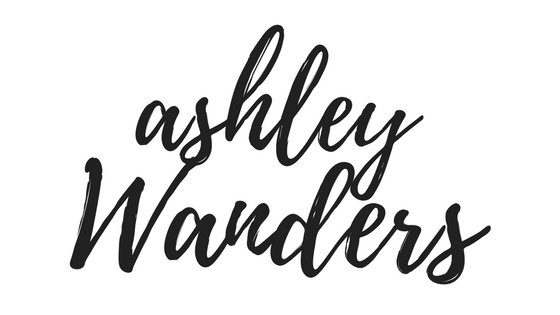 On one hand, this can be great – you have the chance to see famous headliners and up-and-coming entertainers before they hit it big. Or you might find yourself at a horribly unfunny comic show feeling too awkward to get up and leave because you’re the only person in the audience. Just think of it as a sort of theatre roulette! During the festival, pubs are open until 3, and clubs ’til 5. It’s nearly impossible to walk by a park or square in the city without seeing a pop-up bar, beer garden, or Prosecco patio, so you will be inundated by the urge to imbibe. Just remember to pace yourself and keep the “it’s a marathon, not a sprint” mentality in mind. – Attend shows during the week (especially Mondays and Tuesdays) for cheaper ticket prices and 2-for-1 deals. – Arrive at the beginning of the month as preview shows are available up to 50% cheaper a few days before the festival officially begins. – Visit the Half Price Hut for discounted shows on offer every day (beginning the second week of the festival). – PBH’s Free Fringe has a programme filled entirely with free shows happening every day of the festival. Many venues, such as The Laughing Horse and Paradise Palms, host free shows frequently over the course of the month. 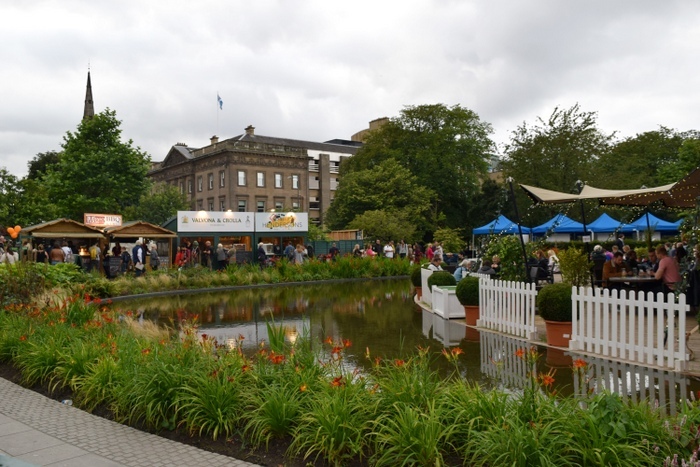 – There are plenty of budget-friendly restaurants to choose from, and food trucks and stalls selling cheap eats can be found throughout the city – especially in St Andrew Square, George Street Gardens, Pleasance Courtyard, and along The Royal Mile. – Check out this post for more Fringe budget tips. The sheer number of shows at the Fringe is staggering, and there will undoubtedly be dozens that catch your eye, but try to resist the temptation to impulsively book all the shows you’d like to see right away. If you have the time, wait a while to read reviews, use the Fringe app to see what’s playing nearby at any given time, and see if any of the flyers you’ve collected advertise shows that interest you. You never know what you’ll stumble upon, and choosing random shows on a whim is all part of the fun. 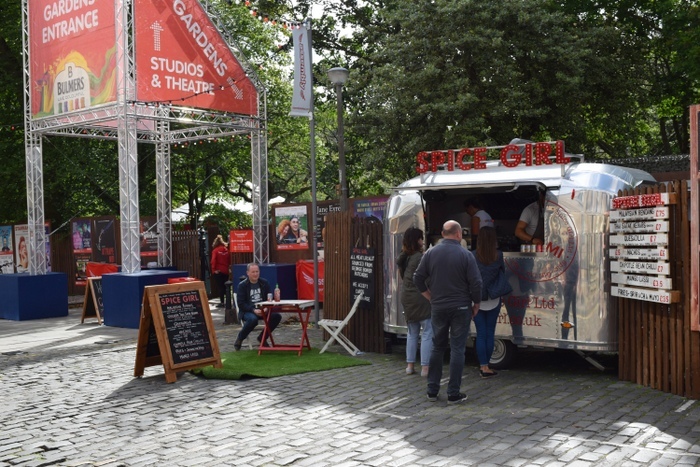 The more time you spend at the Fringe Fest, the more shows you’ll discover – and subsequently want to book! I’m not sure the term ‘summer’ is an appropriate depiction of the season that lasts between June and September in Edinburgh. Be prepared for heavy rain, gale-force winds, cooler temperatures, and maybe some warm, sunny weather too. With so much going on all day every day in August, you’ll probably wish you could be in multiple places at once at any given time. As someone who suffers from a serious case of FOMO, I can empathize – but it’s best to just accept the fact that you won’t be able to see and do everything at the Fringe Festival. A typical day at the Fringe could look like this: Watching a man with an ungodly amount of piercings juggle flaming batons on The Royal Mile; gin cocktails in a double decker bus-turned-bar painted like a cucumber; seeing a show featuring taxidermied animals; stumbling into a dive bar with a man dressed in drag singing a Whitney Houston ballad while clutching a large carrot. And that’s before anything strange actually happens. If you find yourself feeling agitated by the constant stream of people, the traffic jams, and the general madness throughout the Fringe, escape to one of Edinburgh’s tranquil pockets for respite. Wander around less-touristed neighbourhoods like Portobello, Leith, and Bruntsfield. Or, seek out serenity in one of the city’s many green spaces; stroll along The Water of Leith Walkway, climb to the top of Blackford Hill, or take a hike in the outlying Pentland Hills. 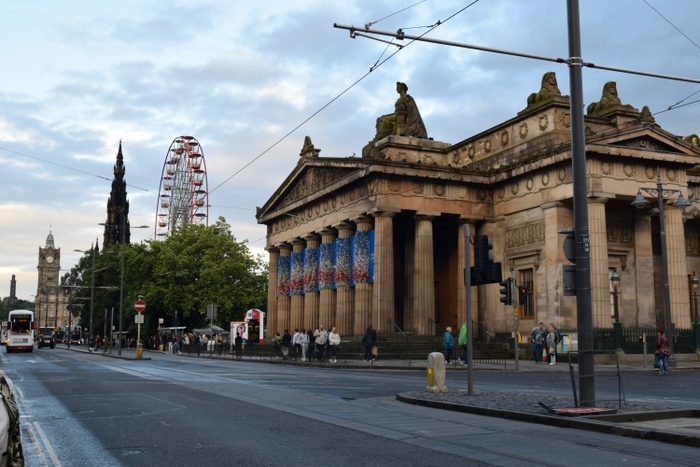 Have you been to the Edinburgh Fringe Festival? How do you survive major festivals? I was there this past weekend and loved Edinburgh. Will have to go back soon. We just did festival stuff – went to the limit and saw 7 shows over 2 days. Wow, 7 shows over two days! Sounds like a busy weekend 🙂 Hopefully you can return soon!